Two consenting adults sat together in a corner of London, holding hands and minding their own business. They happened to be on vacation, and a video where they could be seen sharing this intimate moment was taken by an onlooker. 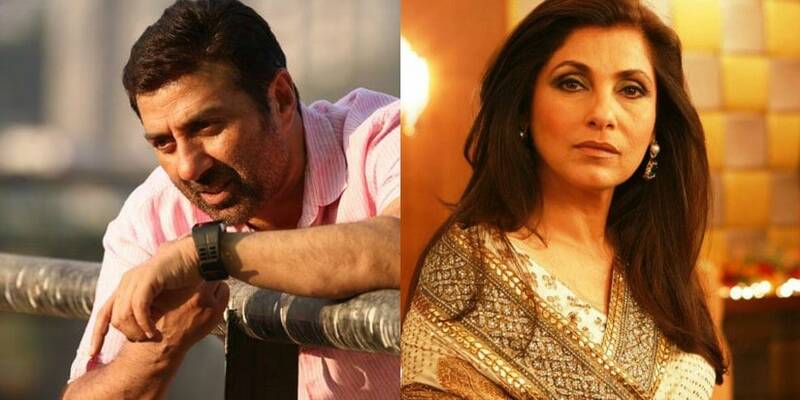 These adults happened to be Dimple Kapadia and Sunny Deol, two known and prominent faces of the Hindi film industry, so it is adequately obvious why someone was curious and nosy enough to take the video. Kapadia was recently widowed, and Deol has a wife, so it's not difficult to tell why the video has gone viral. That we are hungry, relentless consumers of celebrity lives is a well known fact. There are scores of magazines and websites which track the movements, lives and minutest details of stars' actions and words, which is an indicator of how widespread the demand (and supply) of such information is. Airport photos, snaps from parties, selfies are all the rage, and controversial statements are a guarantee of virality on the Internet. And then there is the sheer amount of energy spent on discussing their romantic lives, divorces and affairs. This obsession with Bollywood is not a 21st century phenomenon. Stories of fans writing letters in blood for Rajesh Khanna and threatening to fall in front of Dharmendra and Amitabh Bachchan's cars are abound, as are anecdotes of people naming their children after actors or choosing wedding dates which coincide with the wedding date of the stars they aspire to. But it is now amplified by the access that social media provides into their lives. Twitter, Facebook and Instagram have placed celebrities' pictures and thoughts within the reach of their fans (and haters). When someone posts something, it becomes instantly and easily shareable, as well as practically impossible to wipe out of the Internet. This is the exact reason why trolls are so successful when it comes to critiquing famous personalities, and in some cases, even taking them down. But it also allows fans to express their love. Run a search for any significantly popular TV or film star, and you will come across millions of fan accounts dedicated to sharing pictures of and trivia about them. In a nutshell, social media has created a spectacle out of actors' lives, much larger than tabloids and newspapers ever could. It operates in much the same way as the characteristically Indian tendency to gather around when a fight breaks out in a street. Driven by the need to constantly keep track of the latest scoop and an impending sense of FOMO (fear of missing out), we obsessively check the accounts of celebrities. The algorithms of Facebook and Twitter only aid our cause; when someone like Kamal R Khan tweets out a video of Sunny Deol and Dimple Kapadia, calling them a "beautiful couple", it gets retweeted and shared multiple times over, and turns up on the top of our timelines. Social media has also put the power of documenting in the hands of people whose understanding of personal space and permission ranges from being limited to entirely absent. In fact, it would not be preposterous to say that there is no sense of privacy when it comes to celebrities; they must walk on egg shells at all times, for industry 'insiders' and 'sources', coupled with the paparazzi, ensure that the gossip monster is fed every single day. But the voyeurism doesn't end there. In what can only be considered high-handed, we also spend a lot of time moralising and deciding for these actors what they should and shouldn't do. When a picture of Mahira Khan and Ranbir Kapoor taking a smoke break went viral, scores of people spent hours discussing why it was not acceptable for Khan to smoke cigarettes. 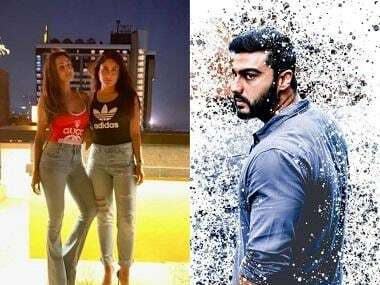 When Sunny Deol decides to go on vacation with Dimple Kapadia, we tsk-tsk away at the 'adultery' and bother ourselves with questions like, "Does his wife know?" The hypocrisy of our thoughts is, of course, is lost on us, because we're the same people who will spend hours looking at photographs of celebrity kids in bikinis, compiled by leading 'news websites'. There are very few machines as well oiled as the toxic mix that is paparazzi culture and social media. Fan proposes, paparazzi disposes.